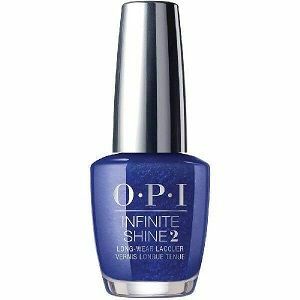 OPI Infinite Shine Long Wear Lacquer, Chopstix and Stones, ISLT91, .50 fl. oz. Bright sapphire blue jelly nail color with light blue shimmer.